Kate Daniels Giveaway Tour: Enter to Win Magic Strikes! Magic Triumphs is almost here! To say the VBC crew is excited would be an understatement. Kate Daniels has won the Alpha Showdown. Curran has won the Alpha Showdown. 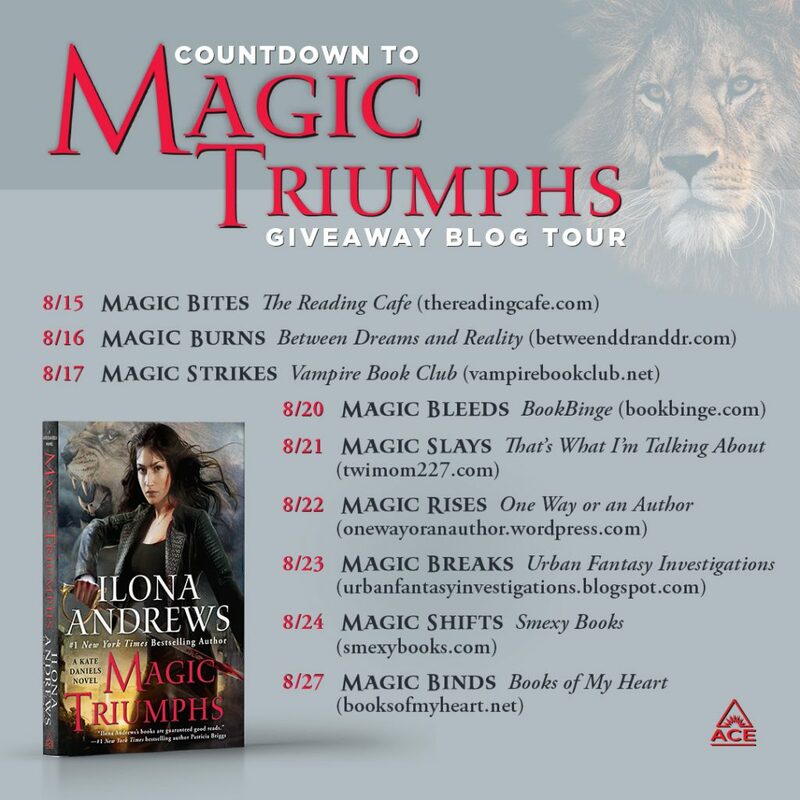 We know you love this series, and while we’re sad to see it end, we’re so excited to see what Ilona Andrews has in store for us with Magic Triumphs (out Aug. 28, we pre-ordered. Did you?). To celebrate, Ace Books and participating blogs (hey, that’s us!) will be giving away three copies of each Kate Daniels book every weekday leading up to highly anticipated release on August 28th. Each giveaway will run for three days. Which means today you have the chance to win one of three copies of Magic Strikes (Kate Daniels #3). 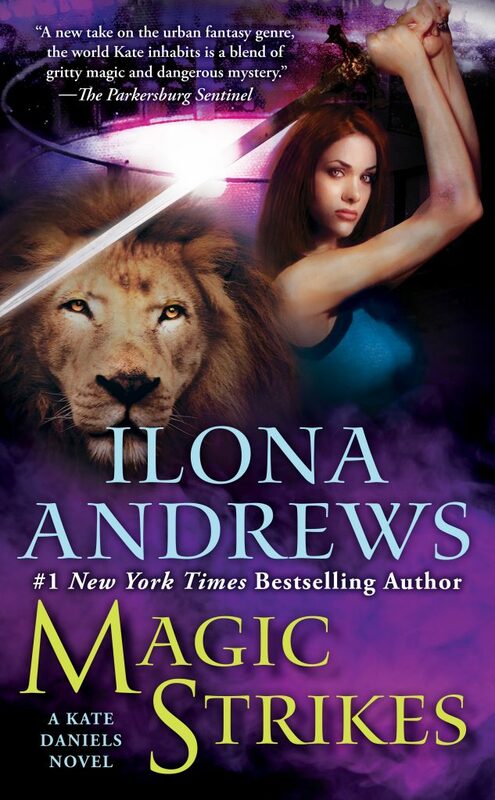 Ilona Andrews is the pseudonym for a husband-and-wife writing team. Together they are the coauthors of the #1 New York Times bestselling Kate Daniels urban fantasy series and the romantic urban fantasy novels of the Edge. Find out more about Ilona Andrews online at www.ilona-andrews.com. Thanks for the giveaway! Kate Daniels is one of my favorite urban fantasy series and I can’t wait to read Magic Triumphs when it comes out. Just finished rereading the entire series in anticipation of this book. Can’t wait! I’m excited for this new generation! I meant to say I’m excited for this new book in the series. I am an IA addict and a member of the BDH! Thanks for the giveaway! Can’t wait to read the new book! Yay! Thank you for the giveaway! I love this series! Complex paranormal hot fun !! I cant wait to get my hands on it !! Thank you for this awesome opportunity. I would love to win this book. Thanks for the giveaway. I love this series and am sad to see it end. Love Ilona Andrews and all of their series! I am soooooo excited for the next book! One of my all time favorite series. I love this series so much! So sad to see it end.